The polio eradication campaign began 25 years ago, when the disease paralyzed 1,000 children a day. Now, health authorities battle only hundreds of cases a year but still can't clear the final hurdle. A quarter century ago, when the polio eradication campaign began, the disease paralyzed over 1,000 children a day. Now, health authorities battle only hundreds of cases a year, but can't seem to clear the last hurdle to wipe out the crippling disease despite the world's largest co-ordinated public health effort. "Eradication is not an easy task, and the global polio eradication initiative has had a lot of challenges in the past decade," said Radboud Duintjer Tebbens, a Boston-based researcher who's written numerous studies on the effort. Earlier this week, the World Health Organization rang a global alarm, declaring an international public health emergency over the nearly three-fold increase in polio cases this year compared to the same period last year. This year, there have been 74 cases in nine countries, nearly three times the number in the same four-month period last year. And the highest transmission season hasn't even begun. "The setback is discouraging but it's not unique," said Svea Closser, a medical anthropologist at Vermont's Middlebury College and author of Chasing Polio in Pakistan. "It's certainly not the first time this has happened." At the start of the campaign in 1988, world leaders — inspired by the eradication of smallpox in 15 years — set 2000 as the deadline. That later moved to 2005, then to 2012 and finally to its current 2018 target. One of the worst setbacks for the polio eradication campaign in recent years happened in 2003-2004 when three Islamic states in northern Nigeria, where the disease was thriving, stopped vaccinations. 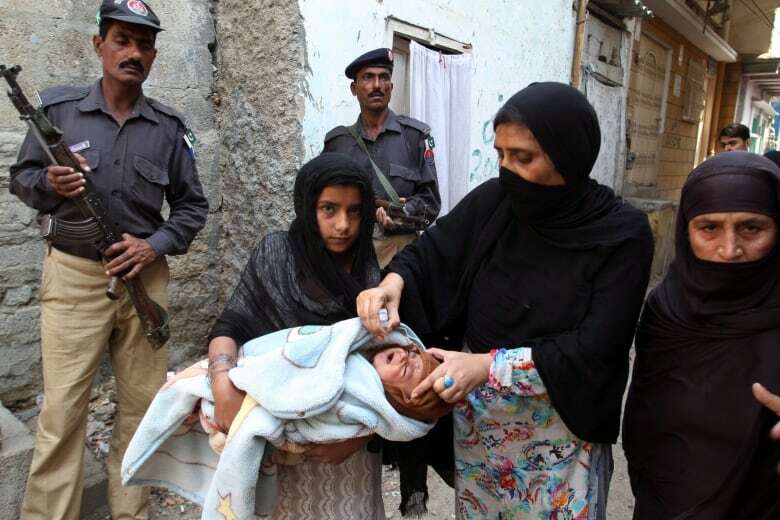 In Pakistan, where polio's grip is deepest, about 30 polio vaccinators have been killed in the last two years, the most recent in late March. The Taliban banned immunization campaigns in two districts bordering Afghanistan after the CIA tried to find Osama bin Laden by organizing a fake vaccination drive. Still, the campaign also achieved remarkable successes. This January, the initiative declared India polio free, a coup that finally took Southeast Asia off the eradication target map. Polio is endemic in only three remaining countries — Afghanistan, Nigeria and Pakistan — though a smattering of cases hit five other countries. To date, smallpox is the only disease eradicated. (Stockpiles of the disease still sit in labs, waiting for a decision on their destruction.) Four other campaigns failed, including malaria, which alone sucked up one-third of the WHO's expenditures during its 15 years. Polio is one of two eradication efforts underway. When the world first dreamed of eradicating polio, health authorities paid little attention to potential costs. "The world had a sense that it could be done and it was a worthwhile goal, but there was no explicit costing," said Duintjer Tebbens, vice-president of the group Kid Risk. Leaders felt buoyed by the smallpox eradication success, done in a mere 13 years and at a bargain $300 million US, the majority of which was borne by the affected countries themselves. 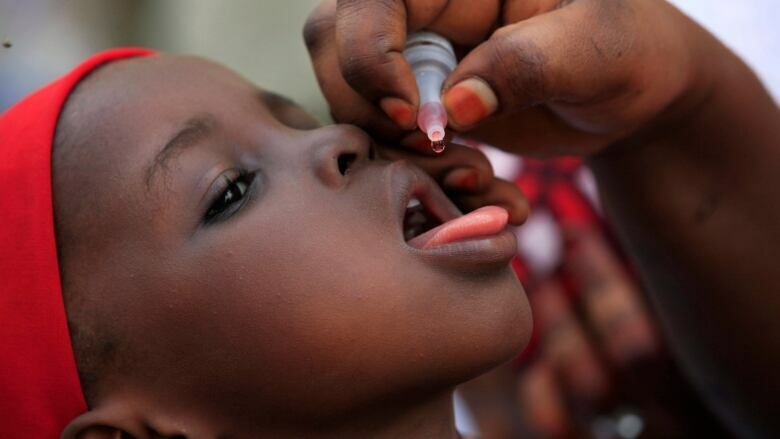 Few studies tackled the key question: is polio eradication worth it? Though several research papers co-authored by Duintjer Tebbens found it was. One study found the net benefit for 104 countries receiving global campaign funds would be $40-50 billion by 2035, assuming in that case that polio was eradicated by 2013. The U.S. eradication alone produced a $180 billion benefit (in 2002 dollars), another study suggested. Even when he looked at whether it would be economically better to pursue the elusive global eradication goal or settle for a more localized containment strategy, eradication came out on top. Still, each year of the goal's delay costs about $1 billion more dollars. "It's relatively small in the larger picture, but it's real money that we are spending every year and it's hard to sustain this level of funding for a very long time," said Duintjer Tebbens. The Global Polio Eradication Initiative says the latest outbreaks aren't expected to cost more because its five-year plan launched last year "accounts for outbreaks and other challenges." WHO's declaration of a global health emergency may be aimed at loudly and publicly warning a few countries in an effort to get the initiative back on track. Many still question whether the WHO can achieve its goal. "I think we're so deep into it that it's hard to advocate walking away from it," said Closser. "But I think the potential for failure is very real." Two years before the polio eradication effort began, the Atlanta-based Carter Centre had already started pursuing the extermination of another health-care foe: the Guinea worm disease, a parasitic worm dubbed the "fiery serpent" that is intensely painful but rarely deadly. Over the past 18 years, Guinea worm's gone from infecting millions of people a year in Africa and Asia to a few dozen cases in four countries. "I think Guinea worm has a better chance of succeeding than polio does," said Closser. "That one seems to me that if they keep at it long enough, eventually they'll get it." Compared to polio, fewer countries struggled with Guinea worm as infections happen when people drink stagnant water. Nor does it cost as much. But it also suffers from repeated setbacks and changing target dates. The goal now is 2015. Some experts suggest that all these experiences — smallpox's success, the struggles of two eradication campaigns and the failure of four others — provide lessons for future global health campaigns. The Carter Centre's International Task Force for Disease Eradication has reviewed dozens of infectious diseases, but only deemed five others as "potentially eradicable," including measles, mumps and rubella. Many more are currently seen as impossible, but could be eradicable in the future, given new research and resources. And even though Guinea worm eradication may have a higher chance of success, Closser notes that it's ultimately the polio campaign that's worth watching. It may inspire or deflate future ambitions. "It's a really historic project," she noted. "Whether it succeeds or fails, [it will] have reverberations across the global health world."